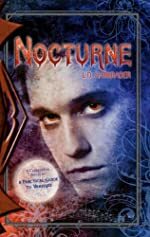 Review: Secrets, magic, and trust are just three out of the many concepts that appear in the book Nocturne by L.D. Harkrader. The characters in this book are Flannery Lane, who is an independent adolescent who has concealed her magic from everyone but her uncle, Monsieur Anatole, Flan’s uncle, wizard, and shop owner, Lucien Kidd, and Pascoe Christopher, a stranger. Flan was left by someone on Anatole’s steps when she was just a baby. Ever since then he has told her never to use magic because it brings evil. When she was a child the whole town was protected by a generation of a family called the Blakely’s. When the Blakely protecting the city passes away, the city is then plagued by disaster. Around every corner trouble lurks, and the townspeople think they have a vampire on their hands. Then a new Blakely moves into town, and the townspeople think that all of their troubles are solved. But they are far from over because this adventure, though it does not take them far, has many outcomes. Secrets will come out of hiding, hearts will be broken, and most of all questions will be answered. Nocturne is awesome; it is one of the best books that I have read in a long time. There are many reasons why this book is so great. One is that this book is the perfect mixture between mystery and adventure. Throughout the book, there are plenty of mini-mysteries that all lead up to the grand finale outcome. There are clues that you can piece together in your mind to sort of predict what the outcome of the mystery will be, but after each chapter you will find another clue that will totally cause your hypothesis to take a whole new route. The adventure is amazing in this book, scattered with decisions that influence the rest of the story and relationships that make the whole book better. Another reason why I really like this book is that it is very descriptive, which makes it even more realistic. For example, in the book it says “… she found herself with a wild tangle of copper hair and a fiercely mulish streak.” Another example from the book is “…lay a circle of dried rust-colored dots. Blood.” Also the book refers to creative figurative language such as “To the townsfolk, it was as if the soft underbelly of the city had been exposed…” Also the book makes you wish you were in the adventure experiencing the thrill and excitement, but here I lay reading this book wishing and wondering, wishing that I could be inside Nocturne - a fantastic book. Review written by Devin (6th grade student). We would like to thank Raab Associates, Inc. for providing a copy of Nocturne for this review. Have you read Nocturne? How would you rate it?